Aspen Skiing Company (ASC) will invest over $26 million [some £16.5 million] in on-mountain improvements this year. It may be the summer holidays, but for avid skiers and snowboarders the real highlight of the year - the winter season - isn’t that far away. 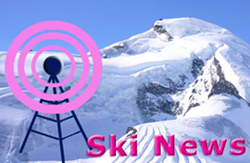 Saas Fee began its long 2011-12 season on Saturday July 9th when its glacier terrain up to 3,600m high opened for skiers and boarders. Pyeongchang in South Korea has been awarded the 2018 Winter Olympics at a meeting of the International Olympic Committee in Durban, South Africa. Ski areas in Australia are currently reporting by far the best snow depths in the southern hemisphere. The British Snow Tour is back for its tenth year with a new format that will consolidate this seasons action into a three event tour, kicking off with the British Indoor Championships at SNO!zone Castleford in September. There's still skiing on the glaciers in Europe and it's started to snow in New Zealand. 'What''s your life' like BLOG launches.